Cherokee Justice Center | Just Shooting Memories! First Friday in Canton has been lots of fun this year and the kids have loved it. I have been able to take lots of photos of the historic buildings around Canton while they have had fun. The first First Friday, I made it back through town after the event and got some night shots of several of the buildings. 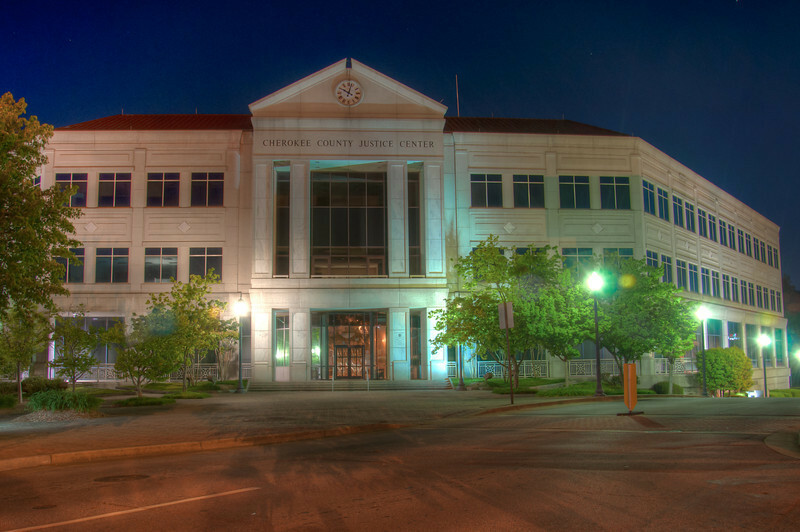 One of the most prominent is the Cherokee County Justice Center. I could not pass this with the different color light on the ground and building.